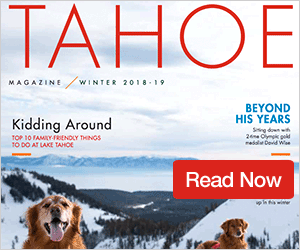 TAHOE-TRUCKEE — Every year, we at the Sun-Bonanza take our Best Of contest seriously because we feel it’s one of the most important things a community newspaper can do — highlighting and celebrating the people, businesses, places and things that make Truckee/Tahoe such a great place to live, work and play. As you look below at all 112 winners across several categories, remember that it was you, our readers, who made this happen by submitting nominees and voting in our online-only contest throughout the month of July. This year was our most successful turnout yet, as more than 54,000 votes were recorded. Without the tireless dedication our residents, businesses and visitors put into enhancing and defining the lifestyle we all enjoy while living and playing in the region, well, Truckee/Tahoe would certainly look a lot different. So we say congrats to all the honorees and runners-up on your much-deserved honors. 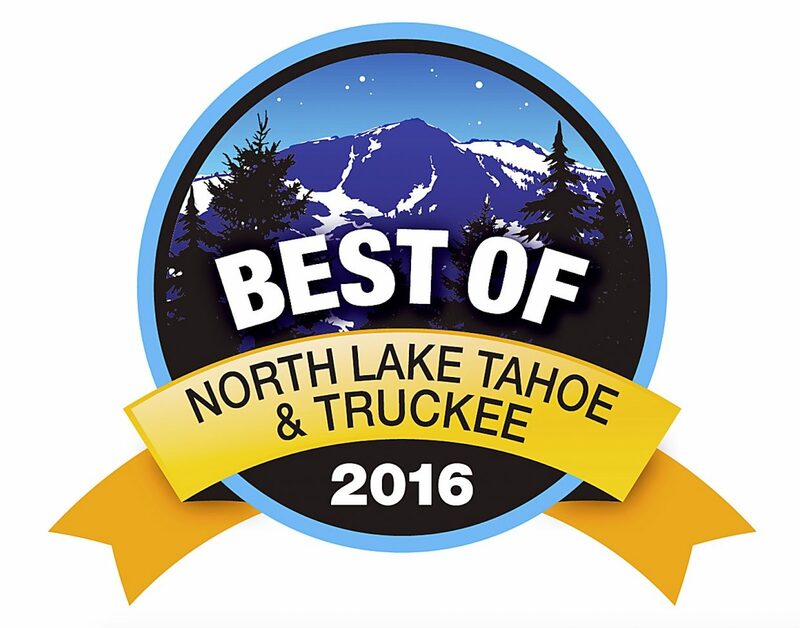 Your hard work and efforts make Truckee/Tahoe truly a great place. Located at 10118 Donner Pass Road in downtown Truckee, Truckee Tavern and Grill’s food and beverage offerings include the freshest, highest-quality local ingredients; farm-raised, hormone-free meats; and locally grown produce to give a sense of place. Menu items showcase the incredible diversity of food available in California. And to top it off, these offerings are paired expertly with the finest wine, spirit and beer selections. Billed as “Lake Tahoe’s locals’ favorite restaurant,” T’s in Incline Village, located next to 7-Eleven is an eating institution. Nothing compares to the mouthwatering fire-roasted chicken, tri-tip and pork from its rotisserie. Well, nothing except for its famous burritos and tacos. With huge servings and terrific service, it’s tough to beat this North Shore gem. Located at 115 Grove St. in Tahoe City, Christy Hill sits just 100 feet above the shoreline of Lake Tahoe — offering diners a panoramic vista. Using the freshest and finest seasonal ingredients, Christy Hill offers Modern American cuisine with refined Mediterranean influences. Simply put, a night out at Christy Hill will certainly be remembered as a highlight of your night out or visit to Lake Tahoe. Lanza’s Restaurant is your North Shore stop for truly authentic Italian cuisine, highlighted by the famous meat sauce from Mama Lanza herself. Located off Highway 28 right next to Safeway, Lanza’s is the perfect spot for a date night — or, the perfect spot for an evening for the whole family. And don’t forget to try a Lanza’s Lemonade while you’re there. PlumpJack Café, located in the Village at Squaw Valley, is widely regarded as Lake Tahoe’s premier dining destination. Under the guidance of Executive Chef Jack Connell, PlumpJack’s menu changes each season so it can take advantage of the bounty of fresh produce available locally. The restaurant’s award-winning wine list provides the perfect complement to your meal, and renowned winemakers are on tap throughout the year for wine dinners and special events. Set against the glorious backdrop of the majestic Sierra, Mikuni Japanese Restaurant and Sushi Bar blends fabulous scenery with equally fabulous sushi. Located in the heart of the village near the skating rink, Mikuni boasts decor that successfully blends contemporary Asian design with the ambiance of a European mountain lodge. If you’re in the mood for a high-energy experience, take a seat at the bar that sits in the center of the room. Or, if a cozy meal is more to your liking, sneak off to a quiet booth or table and relax in your own little world. Specializing in American craft beers, locally made sausages, fresh made sandwiches, tasty snacks and great times, Mellow Fellow’s North Tahoe locations (Donner Pass Road in Truckee, and Highway 28 at the Nevada state line in Kings Beach) provide a restaurant and bar that’s fun for the whole family with games, daily events, and a comfortable setting. And the beer selection is constantly changing — as one beer goes out, another comes on. Alibi Ale Works is a craft brewery located at 204 Enterprise St. Incline Village that produces a wide range of beers with pure Lake Tahoe water. Alibi’s goal is to keep your taste buds intrigued with diverse and interesting flavors. The brewery strive to maintain a beer lineup that is balanced among traditional European styles, super-fresh hop-forward American beers, and innovative one-offs that will expand your beer horizons. Also, barrel-aged and funky-sour-wild beers rotate frequently through Alibi’s tap line-up. At Drunken Monkey Sushi, Chef Osamu (Sam) Okamoto has over 25 years of Asian and French cuisine experience, as well as extensive experience in vegetarian and gluten free cooking. All of Drunken Monkey’s our cuisines are innovative and creative, skillfully prepared, and affordably priced. Throughout the restaurant and in the sake lounge at 11253 Brockway Road, Drunken Monkey offers a robust selection of sake, Japanese and micro-brewed beer, and varietal wines to be paired with your meal, sampled by themselves or taken to be enjoyed at home. Fire Sign Cafe is a family owned and family operated breakfast and lunch restaurant, open since 1978, located on the beautiful West Shore of Lake Tahoe at 1785 West Lake Blvd. in Tahoe City. Just about every item on the menu is made from scratch, and in addition to the award-winning restaurant, Fire Sign boasts its popular Annex coffeeshop, which is open to the public on the restaurant’s busy days. Inspired by the coffee bars found on every street corner in Italy, Coffeebar in Truckee was founded on the principles of providing the highest quality coffee and food in a café environment. Coffeebar, which boasts two locations in town (on Jibboom Street and Donner Pass Road), considers itself an inclusive community that shares owner Greg Buchheister’s mission and true passion for excellence in coffee — and most importantly, an appreciation for life best lived. Susie Scoops Ice Cream & Frozen Yogurt, located off Highway 28 in the heart of Incline Village, offers, fittingly, 28 different flavors, featuring locally made ice cream, frozen yogurt, smoothies, shaved ice (18 flavors), shakes and malts (any flavors), floats, hand-dipped waffle cones, specialty sundaes, pints to go … and ice cream cakes. Decorated like an old-fashioned ice cream shop, Susie Scoops boasts indoor seating, plus an outside patio during the spring, summer and fall. Planeta Ristorante is located in Historic Downtown Truckee and is a must-dine location for visitors and locals alike. Specializing in creating delicious Italian foods, homemade pastas and stellar dining service since 1998, Chef Bill Arnoff puts out an extensive menu with nightly specials inspired by the delicious cuisine of Northern Italy, coupled with an impressive rotating wine list, with numerous options from California and Italy, and a full bar featuring classic cocktails and aperitifs. When it comes to authentic Mexican food and spirits, Casa Baeza in downtown Truckee has your number. With an extensive and affordable menu — highlighted by more tequilas than you can count — and an unmatched level of small-town charm, this restaurant has it all. You won’t be salty coming here. There are several places to grab Mexican food in Truckee, but the odds-on favorite is Tacos Jalisco, located at 11400 Donner Pass Road, next to 7-Eleven. Boasting massive burritos, incredible tacos and tons of other authentic menu items, it doesn’t take long into your first visit to understand why. Best Pies Pizzeria and Restaurant in Historic Downtown Truckee was created and opened by Chris Best and Elise Pannell in December 2010. Chris Best was born and raised in Staten Island, N.Y. — where the idea of a pizza place originated. His Italian family owns an Italian Restaurant named Nucci’s in New York, where he learned the secret family recipes. 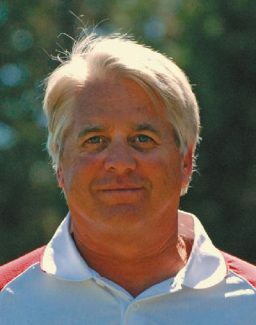 Chris’s love of skiing brought him to the Tahoe/Truckee area in 2004. He met Elise in 2008, and they decided to create something special in the town that they love. Special, indeed. Honorable Mention: Tahoe Central Market and Deli, Marty’s Café, Mountain High Sandwich Co. The idea behind Morgan’s Lobster Shack & Fish Market was to bring the freshest seafood and produce available to the Lake Tahoe area. With fresh fish arriving almost daily and using locally grown produce when in season, you’ll be sure to find something new and delicious, highlighted by traditional east coast fare such as lobster rolls, fried clams and haddock. At Morgan’s, located at 10087 W. River St., the crew follows the guidelines of the Monterey Bay Aquarium in support of sustainable seafood use. After 20 years of experience in professional kitchens, Red Truck Chef Larry Abney turned himself loose on the streets with a big Red Truck serving sustainable organic eats with bold flavors. Now with a new café location at the Truckee Tahoe Airport in Martis Valley, you always know where to find the flavors of Red Truck, featuring samosas, naan hot dogs, naan sandwiches, falafel and much more. With locations in Squaw Valley, Tahoe City and Historic Downtown Truckee, Uncorked showcases a large selection of limited production wines from around the world. Tastings and by-the-glass wines change daily. View the Uncorked calendar for upcoming Wine Maker Events, or come in to enjoy wine tastings every day. Sit in Uncorked’s comfortable wine bar or relax with a nice glass of wine in available outdoor seating (summer months only). Home of the 1960 Winter Olympics, Squaw Valley is heralded as not only the best ski resort West of the Rockies, but it ranks up there with the best of the best in North America. Its ski runs are legendary — plus, the aerial tram ride up to High Camp is one of the best experiences one can have, winter or summer. Owners Roger and Elise Norman invite you to sample the hospitality and experience the ambiance of Tahoe’s most trendy casino. The Normans have invested millions to make the Crystal Bay Club Casino the place to dine and gamble on your trips to Tahoe. Whether you come for the world class entertainment, fine dining or just to toss a few and watch your favorite sports on the 30 state of the art, plasma televisions, Roger and Elise will make sure your visit is a memorable one. Make sure to visit Paco’s Truckee Bike & Ski at 12047 Donner Pass Road, which has been in business since 1979, providing biking and cross-country skiing services to the Truckee & Tahoe region. 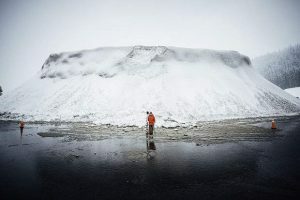 With an amazing amount of years of combined experience in the Nordic and Bicycling world, someone here will probably be able to answer your question, no matter how obscure. From avid recreational users to professional athletes, the staff at Paco’s the expertise to get you what you need. Each Mountain Hardware employee is equipped with the knowledge and tools to create great experiences for customers. From renovating your home to planning a hiking adventure, the staff is prepared with answers. What’s more, it’s a 100% employee-owned business. Mountain Hardware’s large selection and customer service are reflections of the staff’s passion for the business. The Mountain Hardware team is a family promises to continue serving the Sierra Region with pride at its location on Donner Pass Road in Truckee, at the Highway 89 intersection. The Big Mack II is docked at Sierra Boat Company in Carnelian Bay, on Highway 28 between Kings Beach and Tahoe City. The spacious 43-foot sportfisher is designed specifically for Lake Tahoe and equipped with the latest in electronics and fishing gear. Mickey and his crew will ably assist you and share their expertise as you enjoy deep-lining for Mackinaw and top-lining for Rainbow and Browns. Some of Mickey’s “record” catches during the past 40 years include Mackinaws over 30 pounds, along with trophy Rainbows over 11 pounds and Browns. Founded in 2007, CrossFit Truckee has seen many transformations, but has always stayed true to its vision for family friendly, professional training for any athlete at any level. Keeping in line with the latest training methodologies and techniques, the gym’s transition in February 2016 to a new 4,300 square foot facility in beautiful Martis Valley near Truckee Tahoe Airport is no exception. With two dedicated training spaces, kids/family play area, numerous upgrades and new equipment, CrossFit Truckee’s team of trainers is fully prepared to help you complete all of your personal, sport and fitness goals. Truckee River Rafting is Tahoe’s original raft company, family owned and operated since 1973. You begin your leisurely float in Tahoe City, along a peaceful stretch of the Truckee River, ending at the River Ranch Restaurant. Truckee River Rafting, located at 175 Rive Road in Tahoe City, is a self guided raft trip offering commercial grade rafts (2, 4, 6, 8, and 10 person rafts) to spend the day on the river. The Truckee River Rafting trip floats you through tranquil stretches of scenic meadows, mountains and small rapids. Truckee River Rafting is fun for all ages (2 years and up) and sure to be a fun, family memory to have for years to come. Tahoe Dave’s, with locations in Tahoe City, Kings Beach and Squaw Valley, is your source for great ski and snowboard rentals. As the locals’ choice for ski and snowboard gear in Lake Tahoe for nearly 40 years, Tahoe Dave’s is committed to helping you have a great winter sports season. Take your pick of the largest selection of rental and demo equipment on the North Shore, including snowshoes, cross-country gear and rental clothing for the whole family. Located one block south of Historic Downtown Truckee on West River Street, the Tahoe Sports Hub is your year-round destination for mountain recreation, boasting Truckee’s largest selections of stand-up paddleboards, kayaks and paddle accessories! The Hub also boasts Truckee-Tahoe’s largest selection of rock climbing gear and disc golf accessories, and trail running shoes and orthotics. Whether you are looking for camping gear, footwear, swimwear or sunglasses, Tahoe Sports Hub has the gear and apparel to make sure you enjoy summer in the mountains. Tahoe Donner is proud to offer a family friendly, world-class cross-country ski area with over 100 kilometers of trails suitable for all levels of skiers and snowshoers. Tahoe Donner’s trail system meanders through beautiful meadows and forests; follows bubbling creeks; and climbs for some stunning views of the Sierra Crest. Tahoe Donner also offers a limited number of trails for fat biking, as well as 3 kilometers of dog-friendly trails. Tahoe City Marina offers the very best in boating, dining and shopping on Lake Tahoe’s north shore. Located in the heart of downtown Tahoe City, it is one of the largest and oldest marinas on the lake, built in the 1940s. Offering services for every aspect of boating, the marina is dedicated to providing these services to customers in a highly efficient manner with an emphasis on customer satisfaction. The Bookshelf is located at 11429 Donner Pass Road in Truckee, next to Wild Cherries. It’s long held the distinction of being the last-remaining local bookstore in the entire Truckee-Tahoe region. And, while it’s expected to close down later this year, it’s still open this summer, so be sure to swing by and support one of the region’s greatest treasures. Wanda’s Flower Shop is celebrating its 25th year of specializing in unique arrangements for weddings, special events and all personal occasions. Delivery is available throughout just about every community in North Tahoe/Truckee, including the Nevada side in Incline Village. Be sure to stop into the shop at 395 North Lake Blvd. in Tahoe City for all your floral needs. Owned by Heather River and Brian Hess, Bespoke in Historic Downtown Truckee is the place you can always go to find the perfect gift — as well as a place of artistic inspiration. Bespoke focuses its inventory on one-of-a-kind goods from independent artisans, and its lovely shop is a mix of old meets new, focusing on “slow” products and local and regional handmade goods. Lorien Powers is an artist who specializes in creating industrial and contemporary style jewelry. Lorien’s studio is in the corner of a historic building, the Truckee Hotel, which has been around for more than 100 years. Her work is all limited production, with many great pieces being one-of-a-kind, including custom designs. She enjoys working in a space that is industrial, recycled and contemporary, feeling most creative and artistic when surrounded by this sort of inspiration. Located at 11008 Donner Pass Road in Truckee, Zanders Spirits is the only Liquor store in Truckee featuring everyday favorites to specialty items, such as small batch craft cocktail ingredients, craft beers and wines, along with an incredible spirits selection. And not only does Zanders carry your beverage choices, the quant shop has organic and conventional dairy, eggs, bacon and cheeses so you can avoid the long grocery store lines. Alpenglow Sports is an original California Mountain Shop that has been providing locals and visitors with inspiration, local knowledge and the best equipment to enjoy the great outdoors for over thirty-seven years. Based in the heart of Tahoe City, Alpenglow Sports takes pride in being community-minded and socially and environmentally responsible to ensure Lake Tahoe stays one of the best places to play, visit and live in California. Having provided dealer services to the Truckee Tahoe area for more than 15 years, Truckee Auto Mall owner Kevin Harper has developed the expertise that will change the way you buy cars forever. With him, you will always get the best possible deal on a car that will fit your needs, your budget and your goals. Visit the shop at 10975 Pioneer Trail to find out why. With locations in Spanish Springs, Gardnerville, Incline Village, Truckee, Tahoe City and South Lake Tahoe, Pet Station is a full service pet store offering a wide variety of pets and supplies at competitive prices. Pet Station sells many different brands of high quality dog and cat food. The store carries a complete line of supplies and accessories for dogs, cats, small animals, reptiles, birds, fresh and saltwater fish. New Moon was founded in 1997 to provide the North Tahoe-Truckee area with a selection of natural foods and supplements you’d expect to find only in the Big City markets. With locations in Tahoe City and Truckee New Moon specializes in 100% Organic Produce, Natural Grocery, Bulk Foods, Organic Dairy, Frozen Items, Beer & Wine, and a huge selection of Nutritional Supplements, and much, much more. The Cottage Inn sits on 2 acres, housing 22 rooms in 8 cottages, plus a lodge at 1690 West Lake Blvd. in Tahoe City. At the lodge, guests are treated to breakfast and happy hour. The lodge is also where office operations take place. In addition to the rooms and lodging, there are 2 garden areas where guests are welcomed to lounge. And what’s more, The Cottage Inn lies a few steps from one of the finest private beaches on Lake Tahoe. Complete with an in-house touring company (Tahoe Trips & Trails) and a spectacular avant-garde restaurant (Stella), the Cedar House at 10918 Brockway Road in Truckee evokes a strikingly true feeling; a genuine sentiment that speaks directly to the heart of Tahoe. The hotel’s vision is to provide a mountain adventure that will exceed your every expectation. With an array of local activities available, it’s set up well to create the perfect summer getaway. This spa resort at The Ritz-Carlton, Lake Tahoe, features 17 luxurious treatment rooms, a Fitness Center with state-of-the-art cardiovascular and weight-training equipment, a fully integrated wellness program including a variety of fitness classes, and a heated co-ed spa lap pool overlooking the slopes. After an extraordinary day of hiking or other outdoor activity, unwind and warm yourself by the cozy fireplace in your private restoration lounge or step into the dry-heat-lodge to detoxify, or the mentally uplifting eucalyptus steam room to energize. Riverside Art Studios is an inspiring art gallery owned and operated by five artists. It is nestled in the heart of the Sierra Nevada in Historic Downtown Truckee. In all, Riverside represents over 25 artists from the Tahoe region in areas of sculpture, printmaking, painting, ceramics, textiles and more, and the studio’s First Friday events are a wonderful addition to the thriving art scene at Truckee and Lake Tahoe. Ward and Sons Automotive at 10296 Brockway Road in Truckee is run by a team of dedicated employees who refer to themselves simply as “car people.” And that means this team of certified technicians will ensure you receive the best practices in the industry. Truckee Tahoe Medical Group has been committed to caring for local families for over 50 years. Its doctors and nurses specialize in comprehensive primary and preventative care, from birth to elderly. Family medicine physicians will take care of you if you have a strep throat or need to be in the hospital, if you need stitches or break a bone. They will help you treat your diabetes, high blood pressure or depression, among other conditions. Bodhi Therapeutics at 10833 Donner Pass Road specializes in massages, yoga and more. The word “Bodhi” is a Sanskrit and Pali term meaning “To Awaken,” ”To Understand or Know” or “Enlightenment.” As such, each bodywork session facilitates an opportunity for you to “Awaken” not only your Body but Mind and Spirit as well. Spoiled Petz, Pet Store & Grooming has been family owned and operated since 2012, with its first location in Truckee, formally known as Scraps Pet Store & Grooming. In 2016, it opened a branch in Reno as well. Spoiled Petz offers superior dog grooming services and pet supplies, and it specializes in holistic and all-natural pet food and grooming products. The Truckee location is at 12030 Donner Pass Road. Truckee-Tahoe Pet Lodge is a luxury pet care provider with a 15,000 square foot facility located at 10960 West River Street in Truckee that is committed to exceeding expectations for the care of its pet boarding guests and their humans. The lodge’s mission is to have an exceptional facility and a top notch, professional and caring staff providing the individualized care and attention that makes it truly the next best thing to being home for your pet. At Dickson Realty Truckee, the real estate firm’s experts specialize in the Truckee-Lake Tahoe real estate market by offering local market knowledge, industry trends, expert analysis and insights into the area’s rich mountain lifestyle. Stop into the main office at 11836 Donner Pass Road, or its Donner Lake hub at 15947 South Shore Drive to find out why. Owned by Melissa Cox and located at 11209 Brockway Road in Truckee, Coupe Sixty-One is a unique salon where clients and stylists love their hair and their environmental footprint. It offers a variety of men’s and women’s cuts, highlights and several other services. Locally and family owned, High Sierra Taxi is Truckee’s longest running taxicab company, boasting a fleet of all-wheel drive and spacious SUVs that will take you everywhere across the Truckee-North Tahoe region, including Reno Tahoe International Airport. Honorable Mention: Peak Landscaping, Green Envy, Inc.
Rock & Rose, Inc. began as a one truck outfit in 1992, providing yard clean up services to the residents of the North Shore of Lake Tahoe. After obtaining contractor licenses in the states of California and Nevada and incorporating in 2000, Rock & Rose, Inc. has grown into the largest landscape company in the Tahoe/Truckee region while continuing its focus on personal customer service. Rock and Rose also features a nursery at its location at 10739 Glenshire Drive in Truckee. The volunteers a Tahoe Husky Rescue have been fostering huskies for over 10 years, and finally decided to start Tahoe Husky Rescue in the summer of 2015. For now, the nonprofit is a home-based rescue foundation, and while its focus is on huskies, the crew hopes to expand to more breeds to rescue in the upcoming years.